Facebook’s reassurances about its privacy policies don’t seem to have calmed people’s fears of the internet giant – as users flock to shield their browsing histories from its all-seeing eye. Facebook openly admits to tracking your use of other websites while you are logged in to the site. But the site’s attempts to reassure people that its use of their web browsing information is innocent don’t seem to have had the desired effect. Facebook Disconnect – a browser extension which prevents Facebook ‘seeing’ which other sites you visit online – has been downloaded 152,000 times. The software works in Google’s Chrome browser and automatically blocks web traffic between other sites and Facebook, so the social network can no longer ‘look at’ your browsing history. Privacy advocates have voiced concerns that the information could be used for ‘targeted advertising’ in worrying ways. Unless you take steps yourself, the social network watches most websites you visit while logged in. Facebook’s own ‘privacy’ pages are largely targeted towards protecting your data from other people – not from the social network itself. The extension has been such a hit that its creators have unveiled an upgraded version, entitled Disconnect, which also protects users against tracking from Google and Twitter. Disconnect also works in Apple’s Safari browser and Mozilla’s Firefox. Google in particular has access to a huge amount of information from its users, from the contents of Gmail emails to web browsing history to the videos they watch and upload on YouTube. Noel Gallagher announced in July that he intended to release two solo albums. His first album High Flying Birds has recently gone straight to number one in the Charts, whereas the album by Liam’s Band Beady Eye – “Different Gear Still Speeding” reached number three in the charts. The follow up to High Flying Birds will be an 18-track collaboration with Amorphous Androgynous and would be more “out there”. It will be released in 2012, he said. All this success seems to suggest that the chances of doing a 20th Anniversary reunion of “What’s the Story Morning Glory” as hinted at by Liam recently, are becoming increasingly remote. Neil Peart only joined the band two weeks before this American jaunt during which the guys played the infamous Agora Ballroom, Cleveland – a venue at which the group would go onto play numerous more shows during their formative years. At their 1974 booking however, radio station WMMS radio was on hand to broadcast the whole event across the airwaves and thus make this particular gig a somewhat notorious event as well as being Rush s very first radio broadcast. The set played by the group that hot August evening in America s dark industrial underbelly, includes songs from their debut album, Rush, and features two early versions of cuts from Fly by Night. The show also contained a cover of Larry Williams Bad Boy a 1950s rocker, plus two excellent tracks that have never been released on any previous Rush release; the super-rare Fancy Dancer and Garden Road. 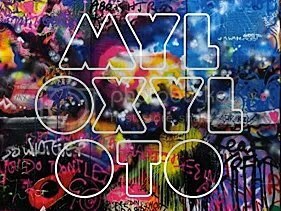 Being a big fan of Coldplay, I decided to get their fifth studio album which is entitled Mylo Xyloto, and is being released on 24th October. I think the title sounds a bit like an Aztec God and When asked about the meaning of the title, the band said it did not mean anything although the Latin derivations of “Mylo” tend to suggest that it is about something falling apart, and xylotomous or xylotomy refer to insects or organisms that are able to cut or bore into wood in order to eat it, A Xylotomist is also something which cuts or pierces wood. Anyway, Having heard the album I like the songs Every Teardrop is a Waterfall, Princess of China Hurts like Heaven and Paradise.